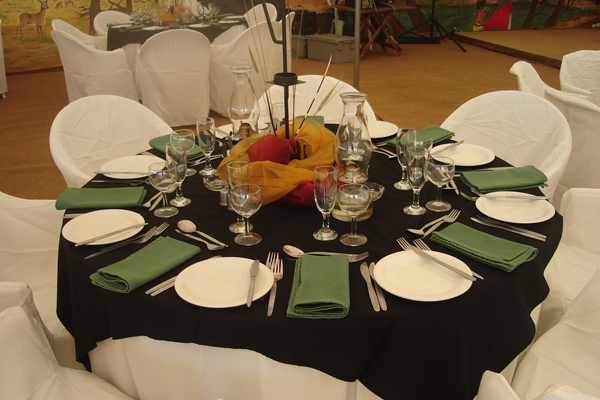 Africa Leisure Travel Africa Leisure Travel specializes in group arrangements, special events and event management. 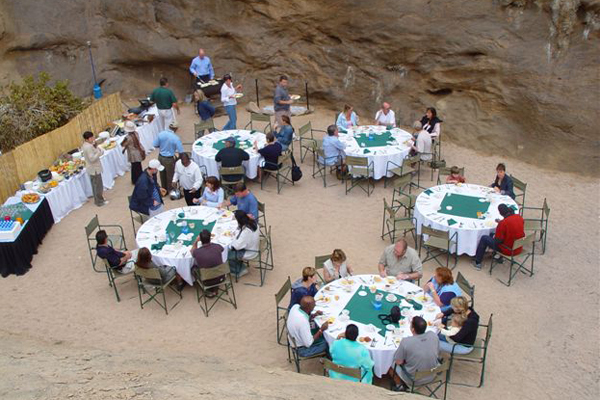 We can arrange all movements and activities that your Incentive group, Conference Group or the FIT client may acquire for their stay in Swakopmund. 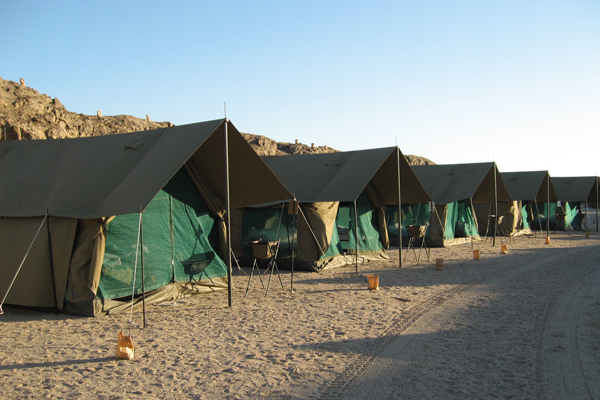 We organise your complete weekend - from arrival transfer to accommodation, adventure activities, day tours, transport and make sure your group is safely on the plane again at departure. 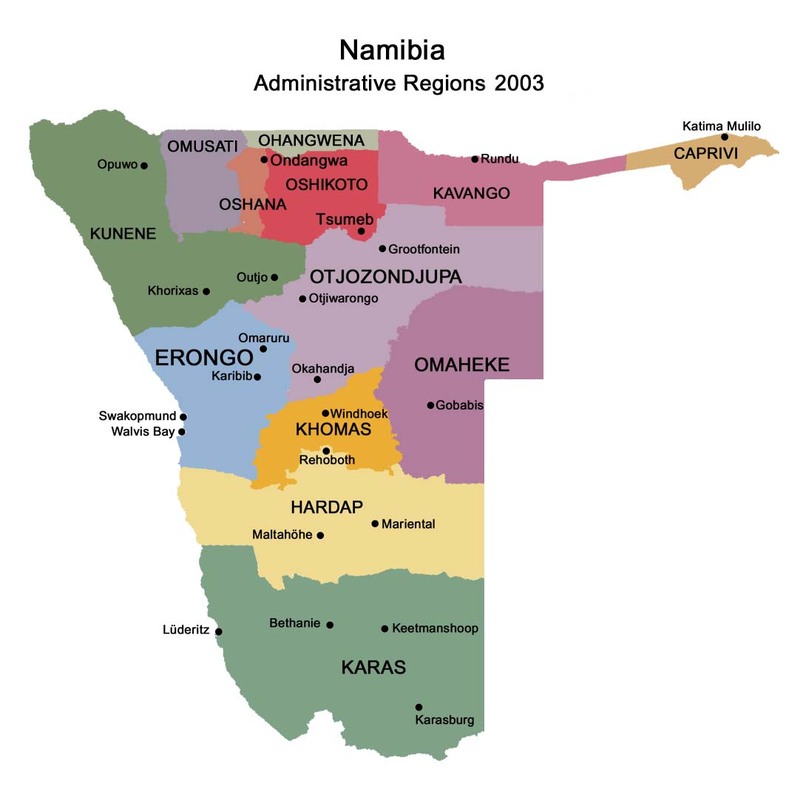 We are specializing in arranging and catering for any special events at the coast (Swakopmund, Henties Bay and Walvis Bay) and elsewhere in Namibia. 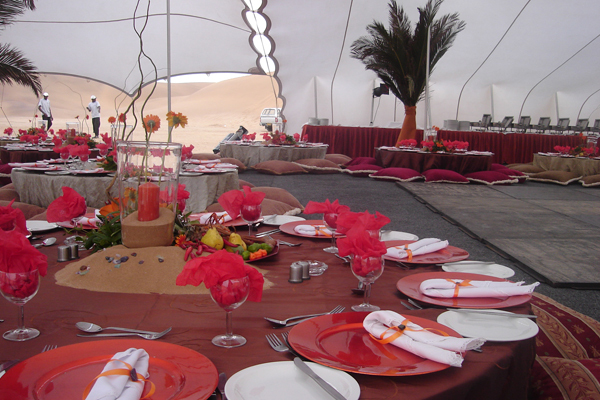 Allow us to treat you to a venue in the middle of the oldest desert in the world, for an unforgettable night. 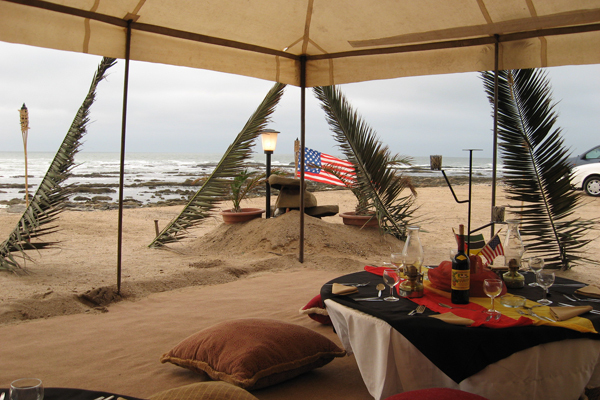 Experience some fine cuisine and an ideal set-up under the Namibian skies. 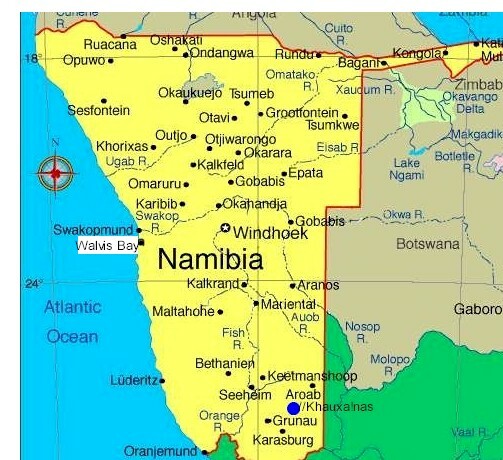 Sossusvlei to Swakop or further. camel rides, sandboarding, volley ball, parasailing etc. 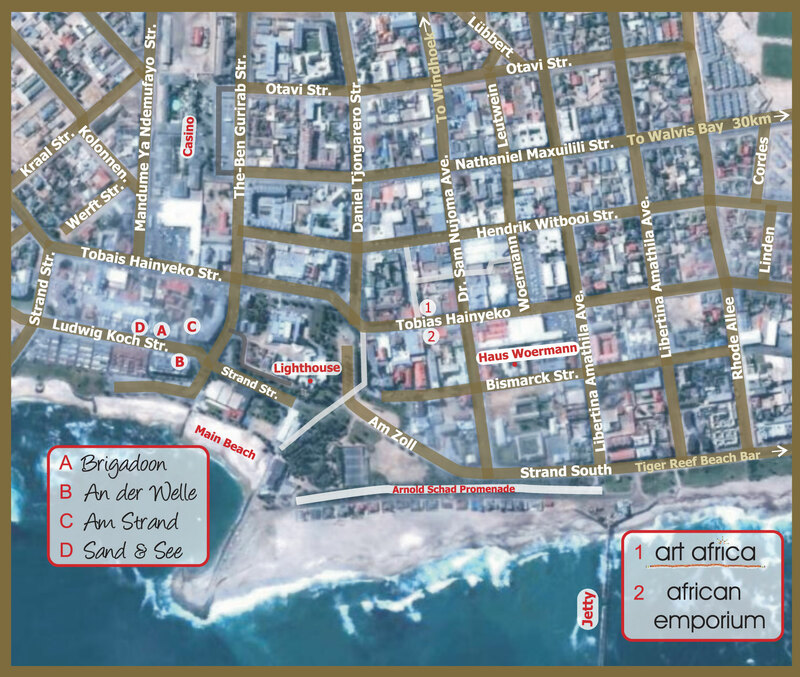 Lunch can be offered as well as return transport to/from Hotel in Swakop. sunset over the Atlantic ocean. 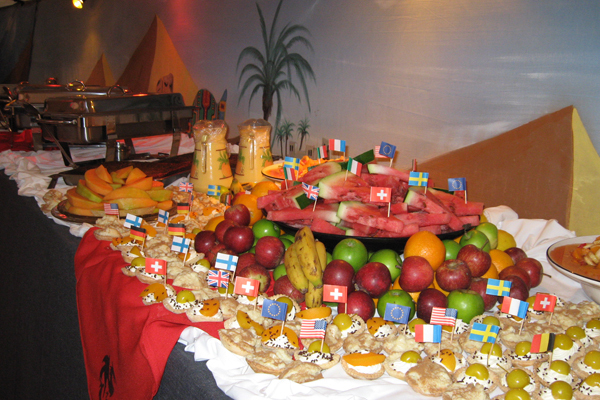 All Desert Evenings (Arabian Evening and Out of Africa Desert Evening) are based on a minimum of 20 guests. Although we have an excellent success rate, please note that all Special Events are weather permitting.